Can I Be Fired From a Job While on Leave With Disability? Can I Be Fired While on Leave for Disability? I was fired while I was on medical leave; can I sue? Without a doubt, you have the right to take action against your employer if you were fired while you were on medical leave – especially if you were fired because you were on leave rather than a legitimate work-related reason. Medical leave is protected by both state and federal law. You cannot be legally fired for exercising your right to medical leave. Were you fired because you went on medical leave? Did your employer retaliate against you by firing you just because you went on leave? If your employer fired you unlawfully during your medical leave, you must seek legal assistance as soon as possible – as you might have grounds to take action against your employer. Speaking with a lawyer could help you gain a better understanding of your rights as an employee and your right to take job-protected leave. If you would like to explore the possibility of taking action against your employer after being illegally fired, do not hesitate to contact the experts at California Labor Law Employment Attorneys Group. California Labor Law Employment Attorneys Group is an employment law firm with many years of experience handling many different types of employment claims. If you were fired while you were on medical leave, our attorneys can represent you and help you hold your employer accountable for your unlawful termination. If you would like to speak with our employment attorneys, do not hesitate to contact us at your earliest convenience. You have the right to go on medical leave – including both short term medical leave and long term medical leave. What laws establish your right to go on medical leave? As a Californian employee, your right to go on medical leave is protected by both California law and federal employment law. On the state level, employees have the right to go on medical leave through the California Family Rights Act (CFRA). On the federal level, employees have the right to go on medical leave through the Family Medical Leave Act (FMLA). Besides providing you with the right to go on medical leave, these laws also prohibit termination based on going on leave. If you would like to learn more about your rights to job-protected medical leave, do not hesitate to contact our law firm as soon as possible. Can You Be Legally Fired While On Medical Leave? Although terminations while on medical leave could be unlawful if the termination is strictly based on the employee being on leave, there are valid reasons for termination during medical leave. Even when you are on medical leave, you could be fired for a number of reasons, including but not limited to the following: failure to meet work goals; failure to adhere to important deadlines; violations of attendance policy; exercising prohibited conduct; failing to meet performance expectations. In general, you could be fired for reasons that are directly related to the job and your eligibility to continue working (based on workplace policy, for example). On the contrary, terminations made on the basis of the employee simply being on medical leave are strictly illegal. If you would like to learn more about being fired while on medical leave, do not hesitate to seek legal assistance with the employment experts at California Labor Law Employment Attorneys Group as soon as possible. Were You A Victim Of Wrongful Termination? Although there are reasons for which you could be legally fired while on medical leave, you might have been wrongfully terminated. If your employer fired you just because you exercised your right to go on medical leave, you were likely wrongfully terminated. In that case, you likely have grounds to take action against your employer – you might even have grounds to request to be compensated. To discuss your unfair termination while on medical leave, do not hesitate to contact our law firm as soon as possible. – Can I File a Pay Reduction Lawsuit for Being Sick? What Can I Do If I Was Fired While On Medical Leave? You were fired while you were on medical leave, what can you do? 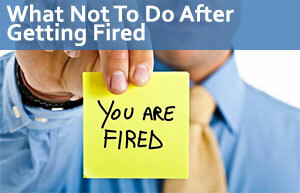 The first thing that you must do is determine the true reason behind your termination. Was the decision to fire you based on your history on the job, including work performance and conduct? Was the decision to fire you based on the fact that you were on medical leave? After establishing that your termination was unlawful, you must pursue a charge with either a state agency or a federal agency – since all employment claims must be filed through one of these agencies. On the state level, employees have the option to pursue a charge through the Department of Fair Employment and Housing (DFEH). The DFEH is California’s employment agency – which enforces the state’s employment laws and handles employment claims made against employers when they arise. On the federal level, employees have the option to pursue a charge through the Equal Employment Opportunity Commission (EEOC). The EEOC is the federal employment agency that enforces federal employment laws and handles claims when they arise. Both the DFEH and the EEOC investigate any claims that are brought forth and are ready to take action against employers when necessary. If you would like to learn more about the DFEH and the EEOC, do not hesitate to contact our law firm today. I was unlawfully fired while I was on medical leave, do I have a case? Can I sue my employer? Is there a lawsuit for unlawful termination based on going on medical leave? Without a doubt, you have the right to take action against your employer, but could you file a civil lawsuit? All employment claims surrounding unlawful termination while on medical leave must go through either the EEOC or DFEH, as mentioned above. Therefore, you must be granted the right to sue before you can pursue a civil lawsuit against your employer. After you are granted the right to sue from an employment agency, you will be able to file a civil lawsuit against your employer. If you would like to learn more about your right to file a civil lawsuit against your employer, do not hesitate to contact our law firm as soon as possible to discuss your claim with our attorneys. Depending on the specific details of your claim, you might be eligible to receive compensation after you were fired while on medical leave. Although every claim is different, you might be able to receive compensation for lost income, lost benefits, pain/suffering, and punitive damages, for example. Although it is not always practical, successful claims might also result in reinstatement for the terminated employee. In general, employers are also required to make changes to their policies. If you would like more information about the type and amount of compensation that you might be eligible to receive, do not hesitate to contact our law firm as soon as possible. Our employment lawyers are ready to fight for your right to recover the compensation that you deserve. Were you fired while you were on medical leave? If you were fired for illegal reasons while889 you were on medical leave, do not hesitate to seek legal assistance with the experts at our law firm as soon as possible. The employment experts at California Labor Law Employment Attorneys Group are ready to evaluate your claim and begin fighting for your rights as an employee. California Labor Law Employment Attorneys Group is an employment law firm that has dedicated many years to representing employees who have been wrongfully fired for going on medical leave. If you would like to discuss your claim with the experts at our firm, do not hesitate to contact our law firm as soon as possible. When you contact our law firm, you will find that our law firm offers free legal services. Our law firm offers both free consultations and free second opinions. During our free consultations and free second opinions, our lawyers will be available to answer all your questions and address all your concerns – ensuring that you will have access to all the information that you need to take action against your employer. Would you like to schedule a free consultation or free second opinion? Are you in need of an attorney? Whether you want to start or continue your claim, you can be certain that the attorneys at our firm are ready to provide you with all the information that you need to take action after you were fired while on medical leave. Do not hesitate to contact our law firm toady. – Can I be Fired for Being Sick? Our free consultations and free second opinions are available as part of our Zero-Fee guarantee. Our Zero-Fee guarantee ensures that our clients never have to worry about paying any upfront legal fees for any of our legal services. Our law firm is also based on contingency; therefore, our clients will never be expected to pay for any legal fees until their claims recover successful outcomes. If you would like to learn more about your right to take action against your employer after he or she fired you while you were on medical leave, contact us today. – What Is the Value of My Wrongful Termination Discrimination Lawsuit? – Wrongful Termination Lawyer – Do I have a case? – Can I be fired for having bipolar disorder? – Can I Take Time Off to Vote? – Can I be fired for serving in the National Guard? – Can I Be Fired for Being Overweight? – Can I Be Fired for Having HIV?